The other day, I met a man in the hall. I was standing outside my office, and he was wheeling a rolled up Persian carpet, into the elevator. I don’t know what I said to make him stop and chat, and maybe the carpet was just really heavy and he was looking for an excuse to rest, but he did stop. And time stood still. I do not usually enjoy talking to strangers, but he seemed to be a kindred spirit. I cannot describe the instant bond we shared. I learned more about life in that hour than in the whole of last year. We discussed things about rugs I did not already know, clarified how much of an art rug-making is, and I was truly inspired. He had recently lost his wife to cancer, and may have been starved for conversation, but it was a moment that I will never forget. I missed the Webinar I was scheduled to attend, and risked the wrath of my boss, but it was worth it. 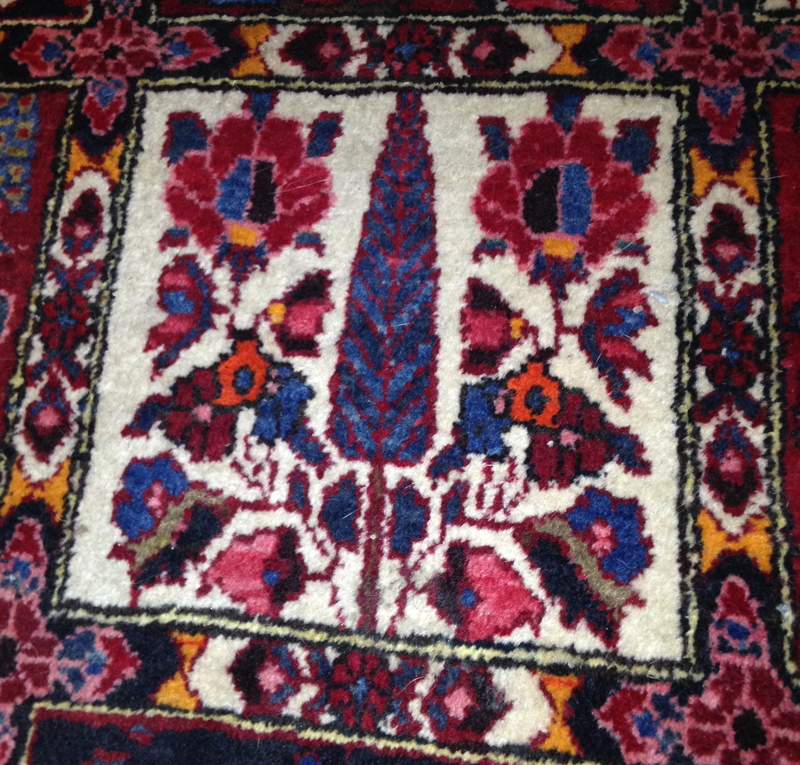 I learned that quality hand-made rugs are as individual as fingerprints, with each tribe having their own designs. I learned that rugs are masculine and feminine, with the floral feminine rugs representing formal décor and geometric masculine rugs casual décor. The movement in the rug will set the tone of your room. 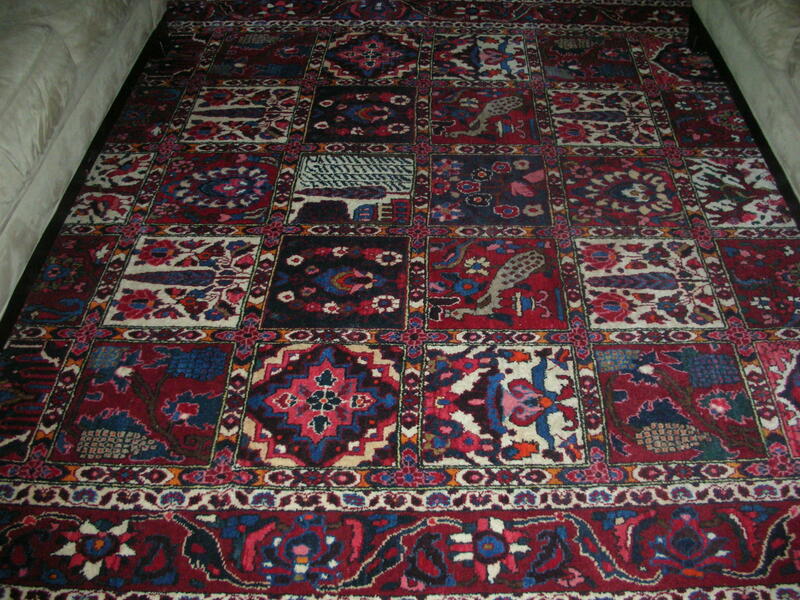 I learned that the Bakhtiari rug in my living room that I so love is a tribal masculine rug with squares depicting the seasons. I learned that a rug in the dining room should be dark in color (to mask stains) and should not compete in design with the chair legs. It has to be 2 feet longer than your table on each end and 1 ½ feet longer on each side. It should be of the highest quality because this room represents hospitality; eating together is of utmost importance among friends and family. A masculine rug is more casual. I have always loved rugs, and in my own home, seem to favor the masculine type. 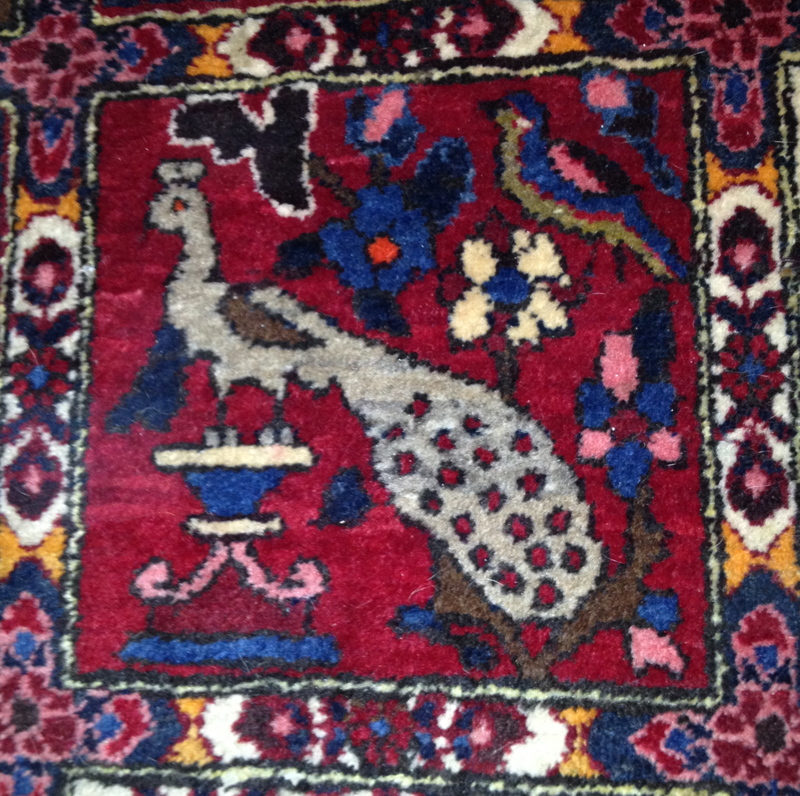 It is rare to meet someone who understands rugs as art. They seem to be almost an extinct breed. 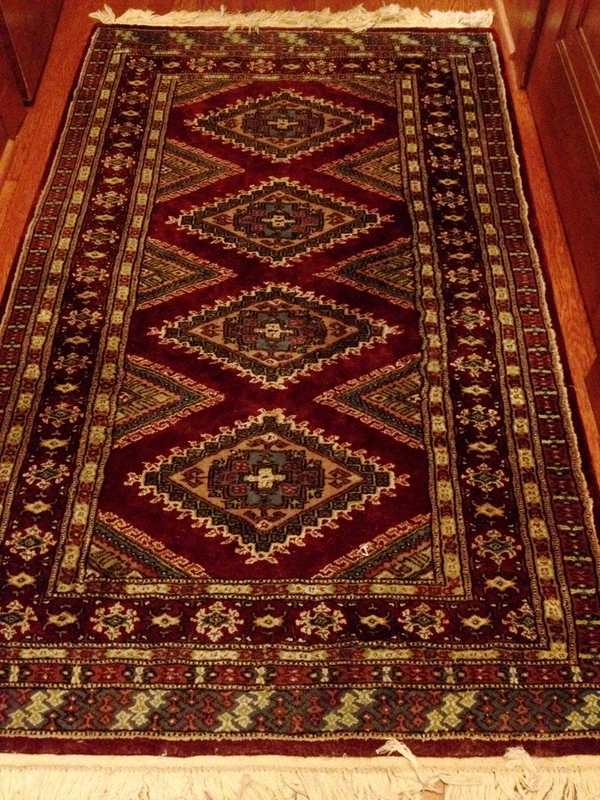 That day, in a dingy hallway, I learned about the art of life and reinforced my love of rugs. They are a critical component of any good design. © copyright Mariam d’Eustachio at Simply Turquoise 2013. Yes! I will message you his info.